Watch a timelapse video of the Eduard Toll making its unassisted crossing. 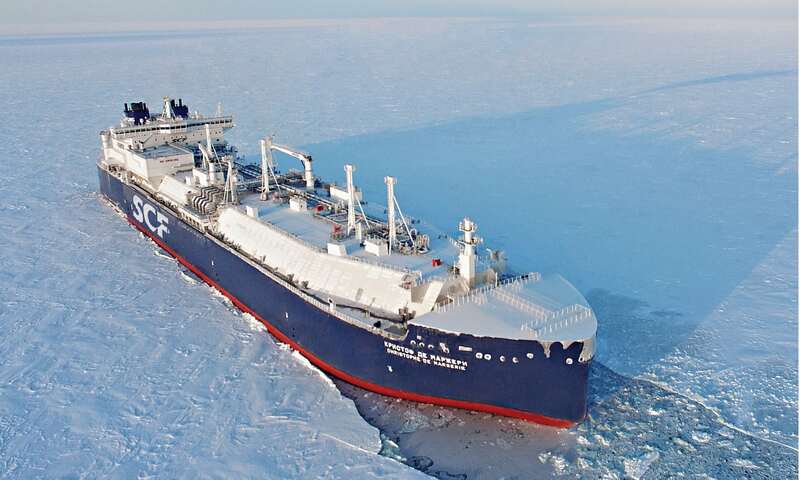 Bermuda-based firm Teekay is investing in six ships to serve the Yamal LNG project in northern Russia. A similarly designed vessel owned by Sovcomflot made the same passage last August. This small and growing Arctic-ready fleet can operate independently of icebreaker escorts, which are also in high demand. Arctic sea ice is steadily thinning and receding, with seasonal fluctuation, as global temperatures rise due to human activity. In January 2018, ice extent hit another record low for the month, according to the US National Snow and Ice Data Center. While polar conditions remain tough, the trend creates market opportunities. The northern sea route is shorter than alternatives through the Suez Canal for many trade links between Europe and Asia.